Heat treatment is defined as a combined process of heating and cooling of metal to change the physical and mechanical properties of a material. 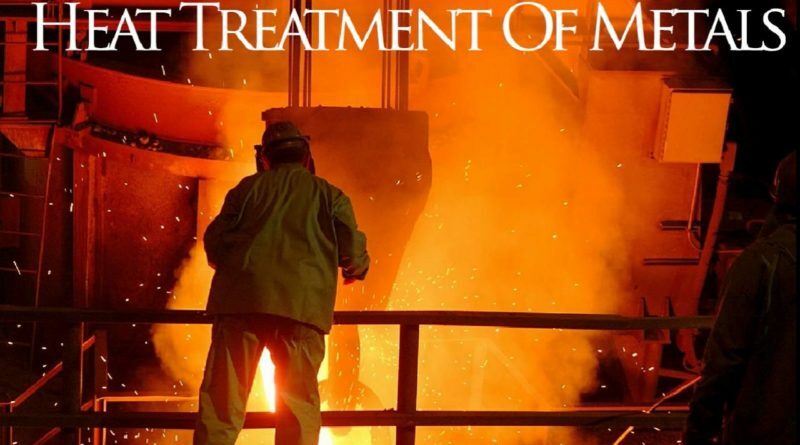 Heat treatment is being used to homogenize the cast metal alloy to enhance their work-ability in the very high temperature, to change the micro-structure in such a way as to achieve the desired mechanical properties. To perform the heat treatment process, safety is the first priority of the person who is dealing with it, because in the process large amount of heat releases, if anything goes wrong may result in very serious problems. The heat treatment process is performed in the furnace and ovens where the temperature is changing as per the requirement and metal onto the process has to perform, apart from this the gases are used to control the atmosphere for the particular process of heat treatment. When the metal comes in contact with the atmosphere then there is the possibility that metal can react with atmosphere and can involve in the chemical reaction. In the atmosphere, many gases and moisture is present that can affect the process of heat treatment that is why before performing any heat treatment process atmosphere of the particular space has to be maintained. It reduces the effect of oxidation on the components which is being treated. Heat treatment is associated with increasing the strength of the material, but it is not only associated with the strength. It changes the manufacturing aspects also such as improve machining, formability, and when the operation gets over material restore it ductility on cooling. The objective of the heat treatment process. Refine size of the grain. Eliminate gases which embrittle steel. Change the composition of the surface by diffusion. To achieve the desired mechanical, physical or chemical properties of the material. Re softening the hardened steel. The parameters that affect the composition and materials properties of the metal are as follows. Heat treatment can be classified into following types. The treatment used to change the surface properties (chemistry). The treatment used to change the phase structure. The basic introduction of all of these heat treatment processes is given below. Homogenization is a general treatment process when the material goes for operation than before the actual treatment start homogenization is performed to maintain the equal temperature throughout the material being treated. It is also performed to reduce the coring effect caused by the non-uniform chemical composition. As the word says that, first the material is being heated at a very high temperature and then slowly cooled. It is one of the heat treatment processes which is used to increase the ductility of the material and reduce the hardness. When the hardness and the ductility of material get changes it results in the reduction of dislocation in the crystal structure of a material. The material is being heated at the prefixed temperature, hold for a certain time then Start cooling slowly at room temperature. If the material is steel, it is carried out by heating the steel just above the critical temperature of steel i.e. 727 degree Celsius and allows it to cool slowly. It is the heat treatment process in which the material is being heated above the 910 degree Celsius to complete the austenitization. Once the material reaches austenitization stage then it is cooled in the presence of air to obtain the fine pearlite, it has good hardness and ductility. Normalizing process is used for the ferrous material to enhance the mechanical properties of the material. Carburising surface heat treatment process, which is performed on the surface of the material in order to increase the hardness and wear resistance of the metal. As the name implies that there is an addition of carbon at the surface of the metal especially low carbon steel at the predetermined temperature. It also called the case hardening process in which the part of the material if low carbon content is heated at high temperatures in presence of the carbon-rich gas atmosphere. When the material is being heated at a high temperature in the high carbon environment allow for diffusion of carbon atoms directly into the surface of the part where the carburization process has to be performed. The amount of carbon that gets diffused into the metal surface depends on the carbon potential of the atmosphere, heating temperature and the time material exposed to that temperature. In order to harden both case and core material, rapid quenching has to be done. Once the quenching is done, carburized part of the material is tempered down to achieve the customer requirements. It dramatically enhances the ductility and toughness of the material. It can be performed on both simple and complex part. Increases the surface hardness of the material. Increases the wear resistance and fatigue strength of the material. It is also a heat treatment process, as the name implies that the nitrogen is added to the surface of the material especially steel. There are two methods involved in the nitriding process namely Gaseous process and Plasma process. In process of nitriding, the material part is being heated at 600 degree Celsius in the presence of gas and dissociated ammonia and the hardness is achieved by the formation of ammonia of the surface of the metal part. In the gaseous process dissociated ammonia acts as the source whereas in case of plasma nitrogen ion diffuses onto the surface of the material. In the gas nitriding, the quenching process is not required, and it develops the hard case in material part at low temperatures. In the plasma nitriding penetrations of the blind hole is not possible and it is a very restricted process. High hardness can be achieved than carburized hardness. Minimum distortion of the part. 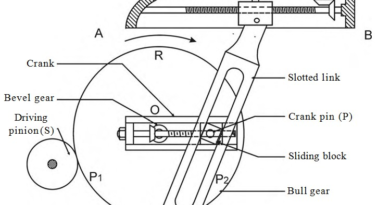 Carbonitriding process is performed on the surface of the material to produce a hard and wear resistance case. As the name implies that both carbon and nitrogen involved in this process. Diffusion of the carbon and nitrogen increases the hardenability of the material, harder than the carburization process. To perform the carbonitriding process lower temperature is required than the carburization, due to this distortion of the material reduces. 0.5 to 0.8% carbon and 0.2 to 0.4% is added in this process to the surface of the material. Once the diffusion did then the components are directly quenched in oil to avoid the cracking. High surface hardness and wear resistance. Increases fatigue life by 30 to 100%. Due to lower temperature distortion reduced. Increases tensile strength and yield point. It is also a case hardening process and it used to produce a hard and wear resistant surface on the low grades of steel material. Ferritic nitro carburizing diffuses nitrogen and carbon into the case of a work piece below the critical temperature 650 degrees Celsius. At this temperature the microstructure of the work piece or material does not convert into austenitic phase, it stays in the ferritic phase that’s why it is called as ferritic Nitrocarburising. It is used basically for ferrous metal. Metal is heated at a predetermined temperature and then cooling it rapidly by putting the heated metal in the water-filled tank. It can also be cooled in air to harden the metal. It increases the hardness and the strength of the metal but at the same time increases the brittleness of the metal. When the steel is being heated it’s properties get changes such as hardness and brittleness increases that is more important for the practical application. When the metal heated up it expands and on cooling its shape shrink. During metal cooling, internal stresses are set up. So the metal is tempered once the hardness is done on the metal surface to relieve the internal stresses and reduce brittleness. In the tempering, process metal is being heated to a specified temperature and allows cooling in the still air. Tempering temperature is lower than the hardness temperature. Induction hardening is a process of surface treatment used to harden the surface of steel and alloy components. Metal parts are placed inside the water-cooled copper coil. This copper coil is connected to the alternating current. Current is supplied to the copper coil and the metal part is being heated above the transformation temperature. In this process, the core part of the metal stays in unaffected to the heat. Part is kept inside the water-cooled copper coil until the desired depth of hardness has been achieved. Once the hardness is achieved it then quenched in the oil or some other media depending upon the material and hardness required. Sintering is a heat treatment process; it is applied to a power compact to impart the strength and integrity of the material. Metal is heated below the melting temperature of the material that avoids liquefaction. Sintering process reduces the porosity in the material and improves metal properties such as strength, hardness thermal conductivity etc. This is basic introduction of heat treatment process. If you have any query regarding this article, ask by commenting. If you like this article, don’t forget to share it on social networks. Subscribe our website for more informative articles. Thanks for reading it. ← What is Slip, Twinning and Dislocation?